Calling all professional, amateur and enthusiastic shutterbugs. 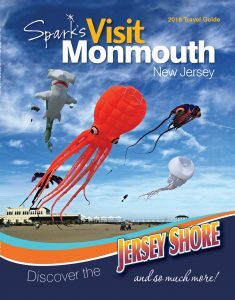 Two major Jersey Shore tourism organizations, the Ocean County Department of Business Development and Tourism and Monmouth County Tourism have partnered with Spark Market Solutions, LLC of Red Bank, NJ to produce Explore Ocean ’19, and the 2019 issue of the Visit Monmouth Guide. And NEW this year we are introducing “Discover Middlesex” our tourism magazine for Middlesex County. Spark Market Solutions is looking for diverse, artistic photos of your favorite areas of Ocean, Monmouth and Middlesex County. 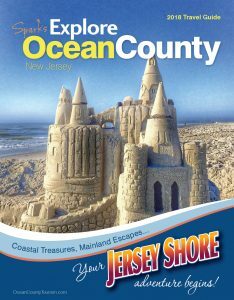 Think beach, surf, historic locations, and family fun or what makes people come to the NJ. Images chosen for these publications will be featured with full photo credit, and the grand prize winner will appear on the cover and receive a $250 cash prize, plus an “about” photography blurb. There will also be cash prizes for 2nd and 3rd place. Photos submitted may be used in Visit Monmouth, Explore Ocean and Discover Middlesex. Photographers will get credit for any photos used along with their name and contact info/website listed in the front of the magazine. Submit all high resolution jpg (at least 300 dpi) photos along with you Full Name, Address and Phone Number.